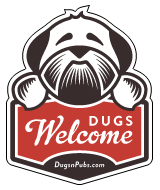 Dugs n’ Pubs is a community and we want you (and your dug) to join us! Click here to join the DUG revolution. WOOF!